In late December, President Trump signed the First Step Act, which reforms aspects of the federal prison system and U.S. corrections culture. The legislation came after a prisoner’s strike earlier in 2018 urgently echoed ongoing reform efforts, including felony voting and measures to prevent harmful overcrowding. Beyond earlier releases, as instituted in California’s three strikes reform, another way to avoid overcrowded facilities (and coercive plea bargaining) is cash bail reform. People unable to post bail and receive pretrial release can languish for months awaiting court appearances. New York City and other large and racially diverse urban centers, like Houston, Atlanta, and Chicago, are involved in experimental bail reform efforts that ameliorate some of the worst aspects of the system, while retaining powerful, and potentially subjective, judicial influence. Judicial discretion appears to be a running theme in recent reform packages, potentially undermining changes in the decades-long struggle to rein in the prison industrial complex and its related profiteering from mass incarceration. New York state just passed legislation entirely eliminating cash bail for nonviolent defendants and those deemed "dangerous." This bipartisan effort allows judicial loopholes that could lead to ongoing pretrial detention, according to the Gotham Gazette: "For defendants charged with sexual assault misdemeanors and most violent felonies, judges will still have the option to set bail, putting poor defendants at a disadvantage. Certain felonies in this category will also be eligible for remand, including witness intimidation and terrorism-related charges." New York bail reform was deemed "the most reckless bail reform statute in the country" by District Attorneys Association of State of New York (DAASNY) President David Soares. Other criticisms of New York bail reform include its vague language around electronic monitoring and the lack of pretrial service budget allocations at a time when demand for these services will increase. What are other state-level examples of bail reform language? In August 2018, California passed sweeping cash bail changes. SB 10 goes into effect October 2019 and serves as an excellent case study. Human Rights Watch, the ACLU, and San Francisco public defender Jeff Adachi all opposed SB 10 because it favors detention and local judicial power. County probation departments use risk assessment tools to recommend release or detention, making the game political in a new way. Speculation also exists that assessment tools reinforce a key complaint against the U.S. criminal justice system: racism. In addition to racial bias, critics even propose pretrial release considerations for violent offenses. Even defendants with violent charges can benefit from being able to work, pay bills, and care for loved ones while awaiting court appearances, goes the logic. There’s life beyond New York and California when it comes to bail reform. Michigan is currently considering a bail reform package that uses more specific language regarding detention criteria, perhaps in an effort to avoid New York and California’s pitfalls. Judges can lawfully detain safety and flight risks, but they must use "...the least onerous conditions of release that will reasonably ensure the defendant’s appearance and the public’s safety." 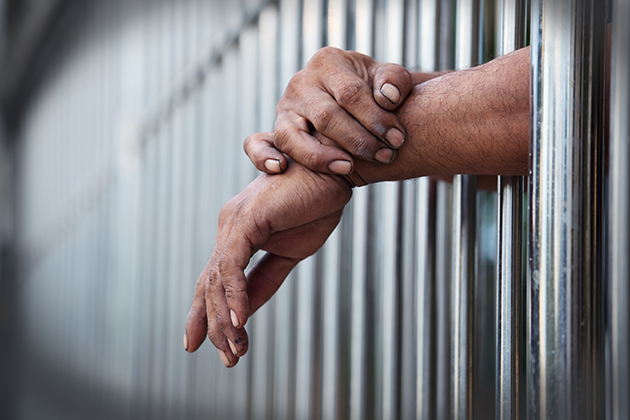 Instead of cash bail, personal recognizance bonds are issued. Here, Michigan legislation appears to have an upper hand over California and New York since it requires judges to record decisions and report stats to track improvements. Judges will even be able to consider a defendant’s income before setting cash bail amounts. Unlike New York, Michigan has even bolstered its pretrial service funding in an assessment program that already reports positive results. These provisions require more judicial accountability: an issue that will be getting more attention. Judicial power will remain a hot legislative topic in bail reform circles. But there’s another power looming behind all national bail reform efforts that cannot be ignored: the bail bonds industry. This industry, worth upwards of $14.5 billion, netting $2 billion annually, is backed by global insurance companies with 60 percent of business represented by the American Bail Coalition (ABC). ABC’s ties to model legislation efforts maintain its foothold in an industry undergoing, at minimum, surface changes. While bail reform is wildly popular, problems remain: lack of judicial accountability; a sole focus on nonviolent defendant’s for pretrial recognizance release; potentially faulty or racially biased judicial assessment tools; and bail bonds industry influence. These problems offer little reprieve for cash bail reform groups, public defenders associations, and other community-based decarceration organizations challenging a system that often equates money with freedom.